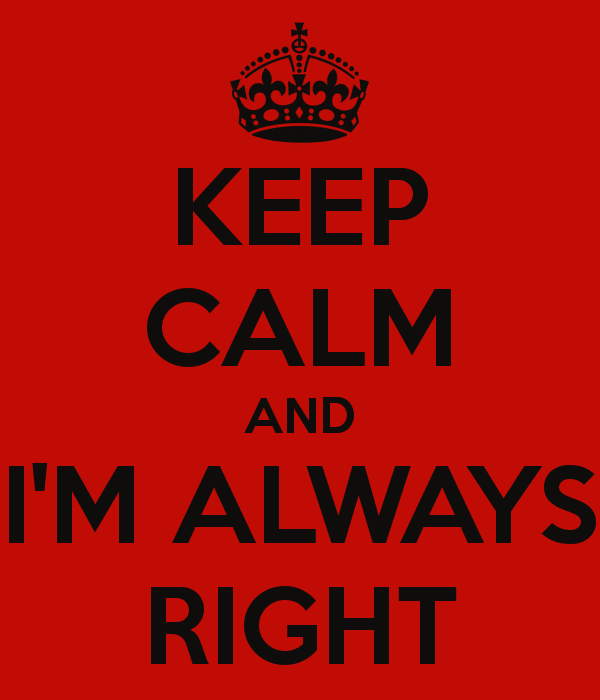 It's not easy to be right all the time. I'm not. I make mistakes, and when I do, I have to say things like, "I'm sorry. I screwed up." I've had to say that to students, to friends and family, and at times I've said it right here in this space. But the great thing about being union leadership is never having to say you're sorry. For example, when APPR came out, it was fantastic. Mulgrew boasted of how the great thing about it was that we could negotiate local measures. How cool was that? And then, when in fact he could not negotiate local measures, he left it in the hands of the reformiest of the reformiest, John King. And after the system came out, Bloomberg said he'd gotten the most vindictive system in the state and he didn't have to lay out a cent for it. I remember this distinctly, because the UFT had been holding out for a while, which I thought was a good thing. In fact, when a UFT rep showed up to a meeting at our school, he told us leadership was very smart, and that we'd certainly get a contract. Otherwise, he said, Bloomberg couldn't have his evaluation. It had to be part of the contract. Now this particular UFT rep could have been improvising, but I doubt it. It turned out we got the evaluation system well before we got a contract, and I don't need to remind readers of this blog that we're gonna be waiting on money most city workers got in 2010 until 2020. I'm amazed the Post hates de Blasio so much. He, the lefty liberal whatever, negotiated the most meager contract in my living memory and the Post should be kissing his ring. Of course, we renegotiated the evaluation system. The first time, Bloomberg wanted only 7 Danielson domains but we held out for all of them and it was a great victory. The next time, we negotiated only 8 Danielson domains and that was also a great victory. One thing I've learned about leadership is that absolutely every move they make is a great victory. Another thing I've noticed is that leadership judges themselves and their critics by the same criteria. Since they have so many great victories, anyone who disagrees is crazy, and ought to have their faces punched and pushed in the dirt. Such are the life lessons of Michael Mulgrew, regularly shared with the faithful at the Delegate Assembly, and of course at the conventions, attended by only the elite 800 who swear to abide by said lessons. At a recent DA, Mulgrew ridiculed those who disagreed with junk science APPR by giving percentages of bad ratings. It was only one or two percent ineffective, and 5 or 6 developing. This was a good thing, said our leader, not only because it was a small number, but also because it was a bigger number than much of the state. Our model, therefore, was a model for the state. No one pointed out what it was like to live with a bad rating, and no one pointed out that ratings seem to be lower this year than last. Of course, we won't know for sure until next September or so, but that's the trend among teachers with whom I speak, at least. And, of course, since everything is wonderful, anyone who opposes APPR is nuts. That includes me and pretty much every single teacher I know. It includes teachers with ratings up and down the spectrum. It certainly includes the likes of Diane Ravitch, Gary Rubinstein, Aaron Pallas, and Leonie Haimson, and pretty much anyone who actually looks at the research and considers it. But we're all insane, according to UFT leadership. They say the system is great. On the other hand, Cuomo says it's baloney because not enough teachers are losing their jobs. Amazingly, at the absolute lowest point of his popularity, he manages to push a new system through the GOP Senate and the Democratic Assembly. And though Cuomo pretty much got everything he wanted, I got an email from Michael Mulgrew stating that this was yet another victory. Apparently, though there are only two factors in evaluation and testing is one of them, testing does not constitute 50% of evaluation. Diane Ravitch says, since anyone rated ineffective in testing cannot be rated effective overall, that it constitutes 100%. Mulgrew says it's less than 50, on what basis I have no idea whatsoever. It must be fantastic to be in a position where absolutely everything that happens is an unmitigated victory. I can tell you that I don't know a single teacher outside of the Unity Caucus who feels we've won anything. Maybe, in retrospect, fighting only for the budget and ignoring APPR was not the optimal strategy. Maybe tweeting up a storm, which Mulgrew himself didn't even bother with, did not achieve our goal. Maybe Andrew Cuomo does not, in fact, live in fear of hashtags. But here's a fact. NYC teachers are now facing our third evaluation system in three years. We've studied the first, and we've studied the second. We've danced this way and that. There are few things more senseless and demoralizing than such an unstable and unpredictable system, particularly one based on junk science. It is most certainly not an improvement in any way over that which it replaced, except for those who salivate at the prospect of firing working teachers, like, for example, the director of reformy Students First NY. When she thinks this is a victory, and Mulgrew thinks it's a victory, and virtually no working teacher agrees, we're in an odd place indeed. Will the 80 plus percent of working teachers who can't be bothered to fill an X in a UFT election be moved to do so? Clearly Michael Mulgrew doesn't think so. And there he may genuinely be right. When people have no hope, voting seems a waste of time. The question is, do we want a teaching force with no hope?